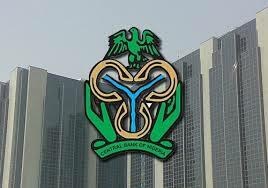 Mrs Tokunbo Martins, the Central Bank Director of Banking Supervision, on Thursday, said that banks had been given August 1 deadline to publish names of their debtors. Martins disclosed this while briefing journalists on the outcome of the 322 Bankers Committee meeting in Abuja. "You will recall that at the last Bankers Committee meeting, we discussed about publishing the names of serial debtors of banks. We discussed this again because of the fact that the date is drawing close. "The last time we had the meeting, we said that there should be three months of grace to give the debtors the opportunity to put the facilities back to performing status. "So, by the 1st of August, any debtor that hasn’t done so, the name will be published by the bank. So, the banks are encouraged to speak to their customers that fall into that category that they should put in more effort to pay off," she said. Martins said that the total credit currently in the system was between N13 and N14 trillion and about three per cent of it was non-performing.